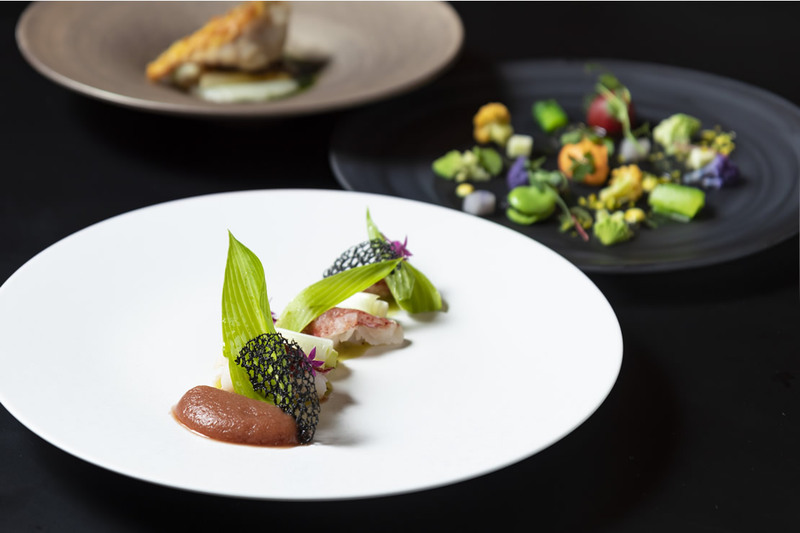 ・Dine in a private room in a traditional Japanese garden, and enjoy a beautifully prepared evening kaiseki course using an abundance of seasonal ingredients. 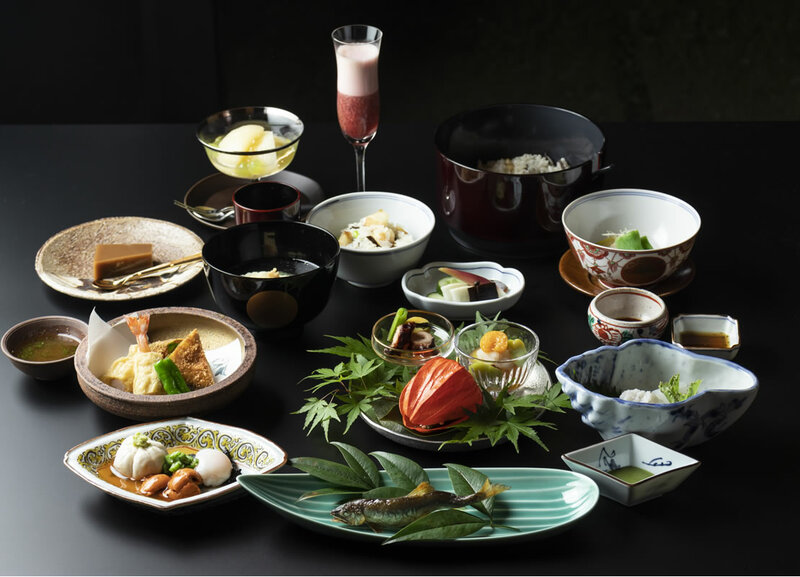 ・The rice served at the end of the meal is a special blend of rice called “Okinakasumi” produced by “Hachidaime gihey.” Selected by a team of certified rice experts and said to be among the most delicious rice in Japan. Enjoy the materialization of years of experience in producing the finest rice served in an earthenware pot. ・A course centered around Nanzen-ji specialty "Yudofu" or boiled tofu. 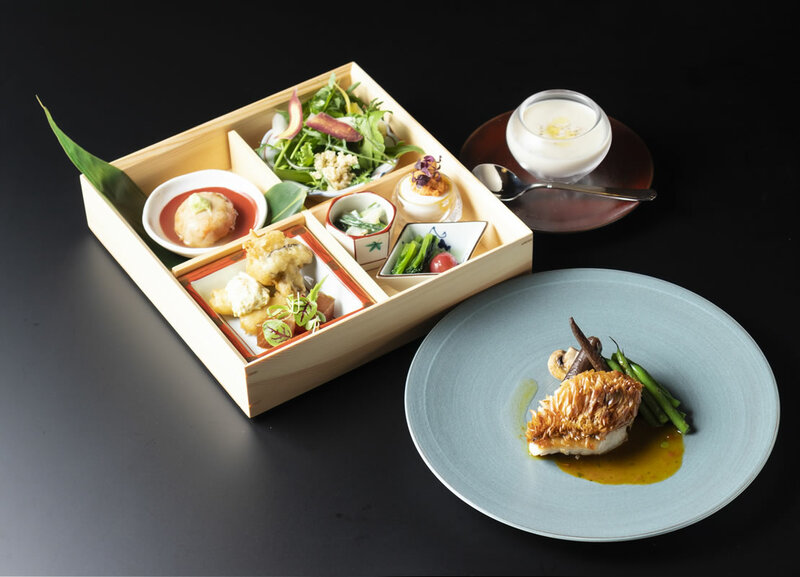 ・Dine in a private room and enjoy an authentic kaiseki course created under the supervision of Michelin 3 Star Japanese restaurant Kashiwaya. 【Location】1F Dining in front of the garden. 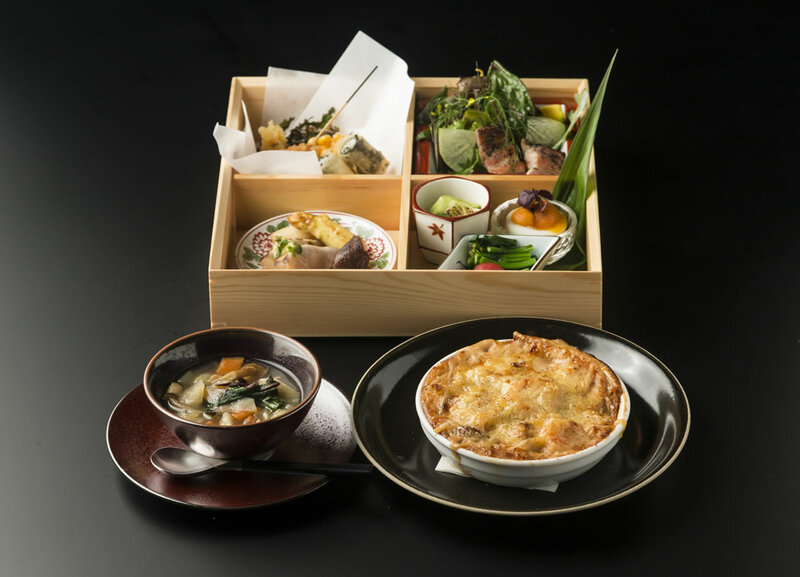 The Japanese kaiseki cuisine is generally in a private room in the Japanese garden (private room charge of 15% required). For the French Cuisine there is no table charge for lunch and a 10% table charge for dinner. Use of the restaurant or accommodation require an additional 10% service charge.